The former Eastern Bloc is often perceived as a gray region with prefabricated buildings, and its four- wheeled products are usually compared to shoe boxes. Klaus Schameitat decided to abolish these prejudices by presenting us with the exceptional variety of vehicles developed behind the iron cur- tain, some of which still exist today. To achieve this, he not only traveled to the former GDR, but he also visited almost all the countries of the Eastern Bloc for more than 40 years. Big, American-looking sedans come across rear-engined air-cooled curiosities, monstrous transport vehicles dream of a better life on a scrapyard, and a Wartburg races against a Z?uk van – but not on the road: both vehicles were converted into draisines. In this beautiful photo book, the East is repre- sented as an unusual, colorful, elegant, and sometimes simply astonishing region. The highlights: more than 800 documentary photos, mostly of everyday cars, concise model des- criptions, a wide variety of cars, trucks, buses and trains of all kinds from more than 60 manufacturers, photographed in 20 Eastern European countries, classified by country, with informative maps and introductory texts. Appendices include abbreviations and the main products of the manufacturers. 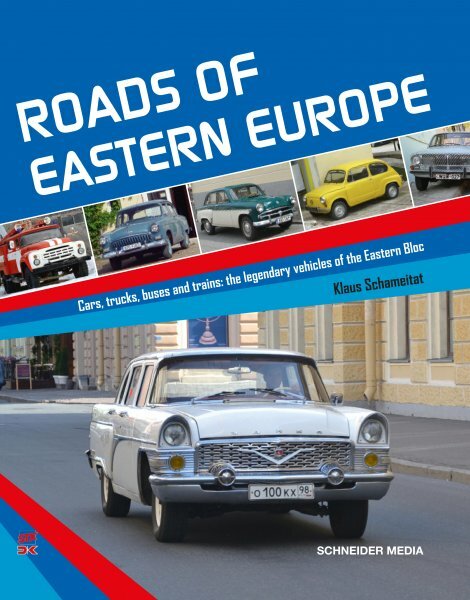 Klaus Schameitat, born in 1958, a teacher of Latin and geography in a high school in Germany, has been working for over 40 years on the countries of Eastern Europe and the former Soviet Union, and it is during his innumerable travels that he has passionately documented the treasures illustrated in this book.